As many of you know, for the past few months I’ve been posting one writing prompt a day on Google+ (I’ve begun archiving them on Pinterest), a practice which has given me ample time to reflect on a deceptively simple question: What makes a good writing prompt? 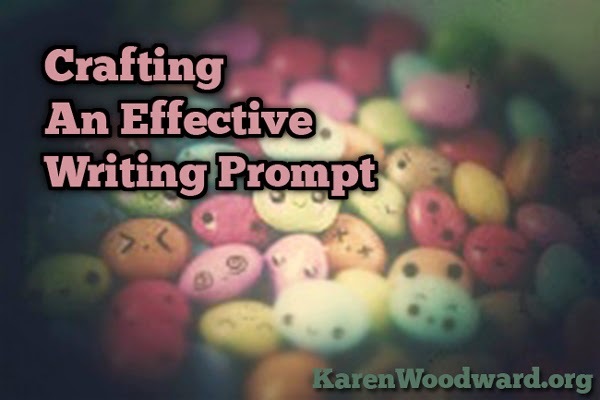 First and foremost, a writing prompt is one that—as the name implies—provokes someone to write. In this writing prompts are a bit like jokes. Can a joke really be called a joke if it doesn’t make anyone laugh? Some connoisseurs of prompts are picky and demand that one only write about one’s characters and then only in the third person. I disagree. I encourage folks to reply in whichever person strikes their fancy (and, let’s face it, prompts are an invitation to try out unfamiliar and perhaps quirky styles of writing, such as second person future tense). And if one wishes to recount something about one’s own life (or one’s re-imagined life), that’s fine! 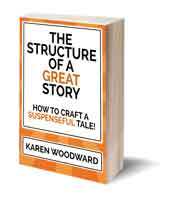 After all, writing prompts invite quirkiness, they invite experimentation and stretching one’s writing muscles by doing something one has never done before, whether this is writing about a certain subject matter or writing in a person or tense one has never tried. I’ll be the first to admit there is no formula for creating a writing prompt which gets people to put pen to paper and write something. But, with that caveat, here are a few qualities I’ve found most of my popular prompts shared. 1. An effective writing prompt is short. A while back, I experimented with the length of prompts and discovered that the shorter the prompt the more responses it got. So I’ve made it a rule: If a writing prompt can’t fit on a 3 x 5 inch index card, it’s too long. 2. An effective writing prompt asks something about the writer/reader. Or, possibly one of the writer’s characters. 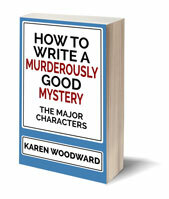 But I’ve tried posting conundrums having to do with one’s characters rather than the writer/reader themselves, and it seems to me that most of the popular prompts have asked about the latter. 3. An effective writing prompt has a clever twist, something that captures the writer’s/reader’s imagination. This is something that is definitely more easily said than done. It isn’t as though one can sit down at one’s desk and say to one’s muse: I need a clever twist, please. At least that’s never worked for me, you may have better luck! What I’ve found is that if a particular thought fires up my own imagination, if it makes me puzzle about how I’d write a response to the prompt, then it’s probably going to have the same effect on others. Perhaps prompt writing is a bit like comedy in this sense. One has to expose one’s work to the public to see what will catch. If a person laughs (/responds to your prompt) it’s a keeper. If not, back to the drawing board.